The Penn Medicine Southern Chester County ambulatory care center was named Best New Development, MOBs and Other Outpatient Facilities, 50,000 to 99,999 square feet. Seavest Healthcare Properties is pleased to announce that Penn Medicine Southern Chester County, a Property owned by an affiliate of Seavest, has won a prestigious national healthcare real estate award. 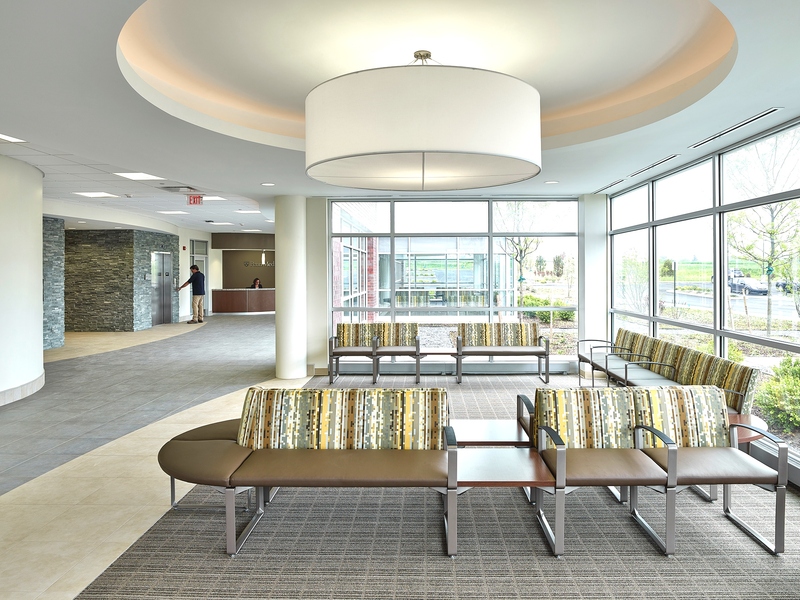 The $23 million, 72,000 square foot Penn Medicine Southern Chester County ambulatory care center (ACC) was named “Best New Development, MOBs and Other Outpatient Facilities, 50,000 to 99,999 square feet,” in Healthcare Real Estate Insights magazine’s 2016 HREI Insights Awards competition. The award was presented today at the RealShare Healthcare Real Estate conference in Scottsdale, Ariz.
Seavest collaborated with developer Anchor Health Properties on the ACC, answering the need to extend client Penn Medicine Chester County Hospital’s healthcare services in its southernmost market. The comprehensive facility consolidates existing, affiliated practices in the market, complemented with additional specialties and services. 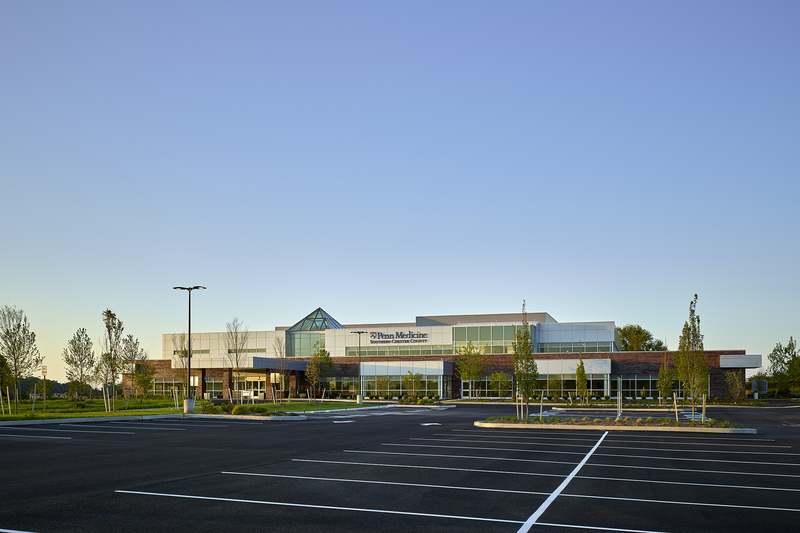 Ideally located at the intersection of two major, high-visibility thoroughfares, Penn Medicine Southern Chester County is designed to be a “one-stop” healthcare destination for the Jennersville community, a fast-growing suburb of Philadelphia. Anchored by a popular primary care practice and complemented by laboratory, radiology and rehabilitation services, the facility features specialty physician practices and a future outpatient surgery center. The design is comfortable, spacious and clean-lined, with a retail-inspired entryway featuring a concierge desk, café, central registration and a common waiting area flooded by the warm natural light of a two-story glass atrium. “We are proud that Penn Medicine Southern Chester County was named a winner in the distinguished HREI Insights Awards, and are proud to have partnered with Anchor Health Properties on this project,” says Seavest Senior Managing Director Jonathan L. Winer. This latest recognition is the third win by a Seavest owned MOB and its development partners in the four-year history of the HREI Insights Awards. Seavest and KIRCO won in the “Best Renovated or Repurposed Healthcare Facility” category for Kirkwood Professional Plaza in Dearborn, Mich., in 2013, and Seavest and Ciminelli Real Estate Corporation won for “Best New Medical Office or Other Outpatient Building (100,000 square feet or more)” for their Conventus project in Buffalo, N.Y., in 2015. The HREI Insights Awards, presented each December, are the only national awards dedicated to recognizing excellence in the areas of healthcare real estate (HRE) development and executive leadership. Seavest Healthcare Properties, LLC is a sector-focused real estate investment management firm that forms joint ventures with established developers to build new properties and acquires existing medical office buildings, outpatient facilities and similar healthcare real estate assets. A pioneer in this sector, Seavest made its first healthcare real estate investment in the mid-1980s. Today, the firm has a significant portfolio of medical office and outpatient properties which are held in dedicated healthcare real estate investment funds. For more information, please visit http://www.SeavestHCP.com or call (914) 683-8474.